Today’s guest has a pretty sweet story! Part CEO, part personal development wonk, and part biohacker info geek, Thom King is a self-confessed serial—and 5th Generation—entrepreneur. And well… entrepreneurs are creators of business and industry! Thom King – the Keto Guy, focuses on doing well while doing good things in the world. In 1999, Thom’s personal passion for food and his concern over the explosion of metabolic disease led him to found Steviva Brands, now known as Icon Foods, with a mission to stem the tide of what he coined “diabesity” by providing consumers healthy alternatives to sugar. In recent years, his passion for food and optimal health have intersected with his embracing of a ketogenic (low carb, high fat) diet. Thom’s latest project is a line of ketogenic condiments intended to help more people successfully adopt a healthier lifestyle. Thom also wrote a book, Guy Gone Keto: How to Lose Weight, Feel Great, and Achieve Lifelong Fitness! Which we’ll link his book and sites in the show notes below. 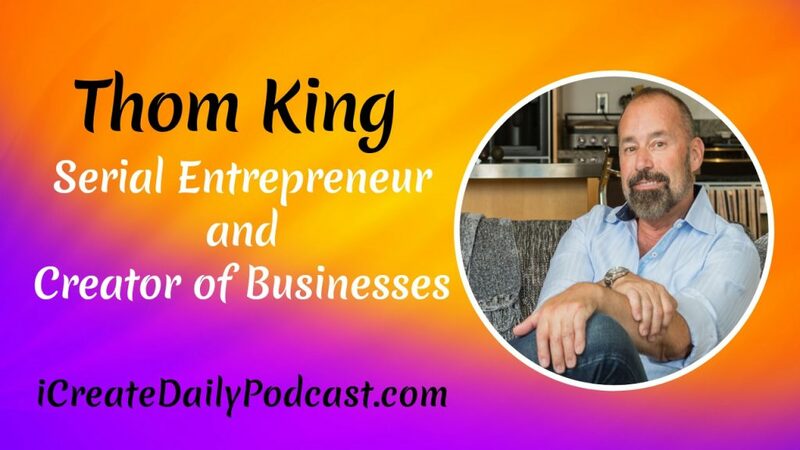 Tune into this inspiring interview to discover more with Thom King. I really think writing things down and getting your goals on paper… there’s something magical about. I’m a person rooted in science… but when you set your intention and map out what you want to do, that part of getting it in writing seems to be a catalyst for manifesting.